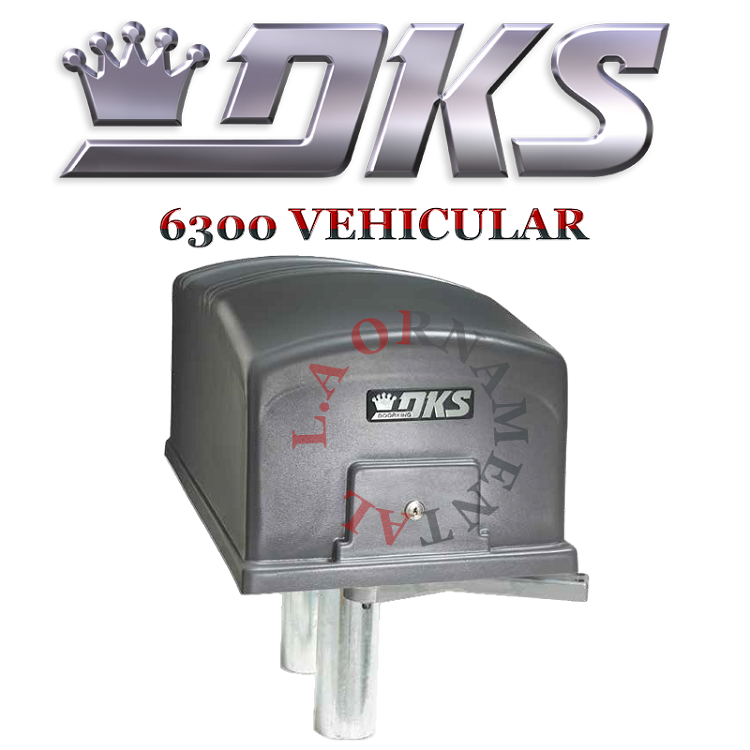 The Doorking 6300 series operators are designed to operate vehicular swing gates in residential, commercial and industrial applications. These operators are designed so that they can be either pad or post mounted without any costly and time consuming field modifications. You need to specify which mounting method when ordering. The unique design of these operators allows the gate arm to be attached to the bottom rail of the gate. This eliminates the need for any brackets to be welded to the face of the gate and creates an aesthetically pleasing installation. These operators can be equipped with a factory installed DC Convenience Open option which will automatically open the gate in the event of a power outage. Gate tracker reporting output. Programming switches. Built-in reset switch. Built-in power On/Off switch. 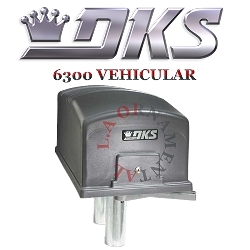 SPECIFICATIONS Model Doorking 6300 with 1 HP Motor Maximum gate width 22-feet. Maximum gate weight 800 pounds*. (*Assumes gate swings level and is in good condition with properly adjusted hardware. Other external factors may affect the performance of the gate operator.) Swings gate 90 degrees in approximately 15-seconds. 1 HP continuous-duty motor. 115, 230*, 460* VAC. (*230 and 460 volt units use a step-down power transformer to achieve 115 volt operating voltage.) Class I, II, III and IV applications. Compliant with UL 325 and 991. ETL listed. (Note: To be compliant with UL 325 and industry safety guidelines, additional secondary entrapment prevention devices may need to be installed with this gate operator. Your professional DKS system installer can provide you with more details on these devices and on current industry safety standards.) Dimensions (operator only): 13.25"W x 12"H* x 28"D (* Height of operator only. Actual height above ground is determined by which mounting method is used) OPTIONS AVAILABLE WITH THIS OPERATOR Master / slave connection cable (slave operator is shipped with 50-feet of cable). Post or pad mount - specify which. DC powered convenience open. Plug-in loop detectors. Heater kit for cold environments. Surge suppressors.